Percival Scientific of Perry, Iowa does more than you think. Being a leader in the manufacture of environmental growth chambers, or incubators, means they are changing the world of agriculture. These controlled chambers can be as small sized as a mini-fridge or as large as commercial size, which are walk-in systems that can grow corn. 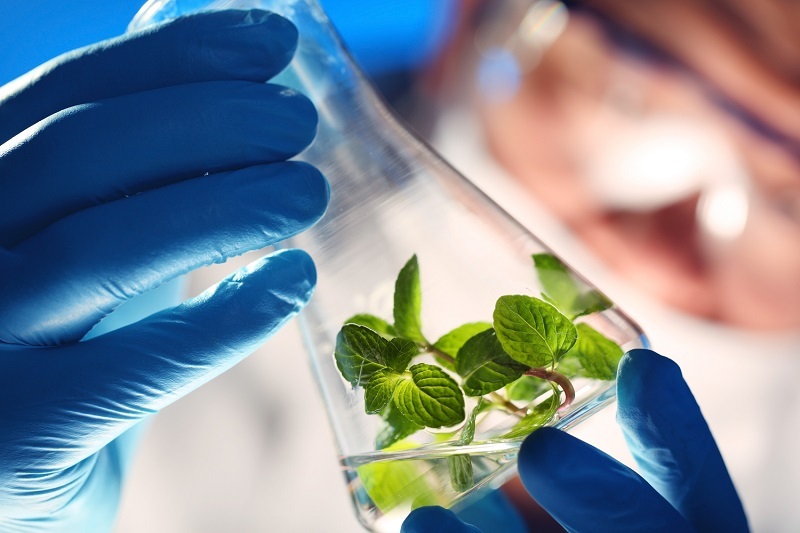 Percival partners with companies like AgBiome to isolate, analyze and test microbes for agriculture in hope to discover and innovate biological products for crop protection. They also work with companies like Indigo Agriculture to provide them a plant culture chamber for researchers to grow plants under highly controlled conditions to improve food production for the world through introducing beneficial mirobiome. This incredible research is no one size fits all task. Of course, it wasn’t always this way for Percival. The company originally began making butcher knives and then butcher cabinets and refrigerated meat lockets in the early 1900’s. But in the 1960’s Iowa State researches reached out to them for a refridgation cabinet, launching Percival into the research market and haven’t looked back since. With Percival doing incredible work for Iowa State University and Cornell University, their shear and two turret punch presses were a bit old-school for their highly advanced products. Percival does everything made to order which has made them focus on single-unit part flow. Operators would shear each sheet to size, place it on a cart and wheel it to the turret press which cut all the material grades and thicknesses for the order. Once complete, the parts were put back on the cart and sent to the press brake or bidirectional folder. With long term view in mind, Jesse Smith, Director of Manufacturing at Pervical, knew the cutting department wouldn’t be able to keep up with space and labor constraints. In 2016, Percival purchased their first laser which was a 2kW OPTIPLEX NEXUS FIBER. Implementing dynamic nesting and a low batch process style to single-piece part flow, the new software and laser weren’t the only changes to their fabricating. 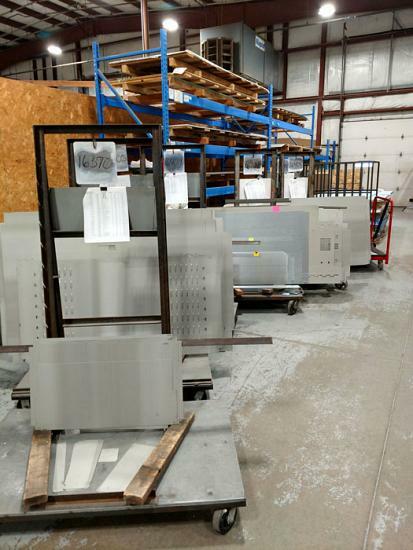 Many parts look alike on the shop floor at Percival. With the laser’s high productivity, parts could get lost or incorrectly sorted creating issues downstream. Because of this, Percival implemented etching part numbers on each part. Reading these etched numbers, workers can properly sort and place processed parts onto carts which are then sent to bending. Once they are formed, they are sent to welding, coating and assembly. These employees have been reassigned and retrained to work in other areas. Smith says, “We’ve gained a ton of labor efficiency during a time when qualified labor is incredibly difficult to find”. 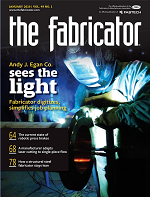 Full article written by Tim Heston and published in the January issue of The FABRICATOR.